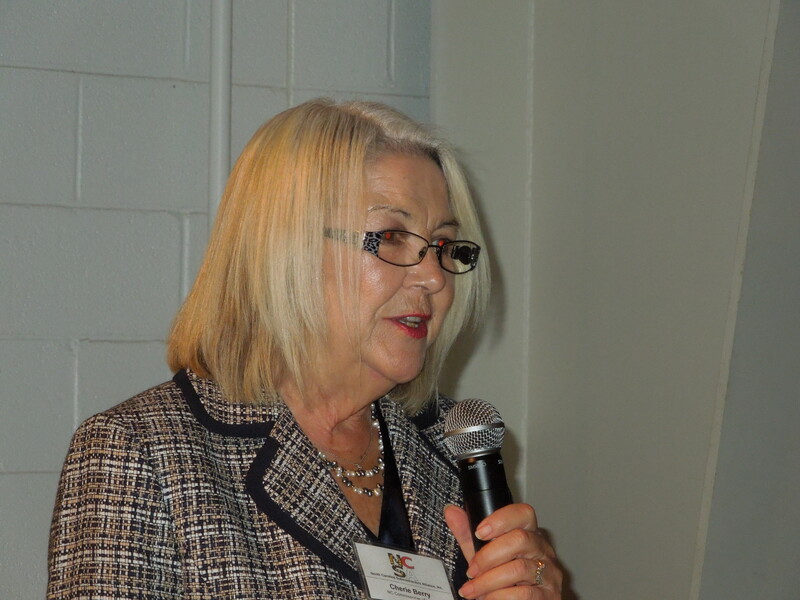 The annual joint meeting between the NC Subcontractors Alliance (formerly the ASAC-Charlotte Chapter) and the Charlotte Chapter of the National Association of Women in Construction (NAWIC) was held November 19th at the Carolinas Aviation Museum. 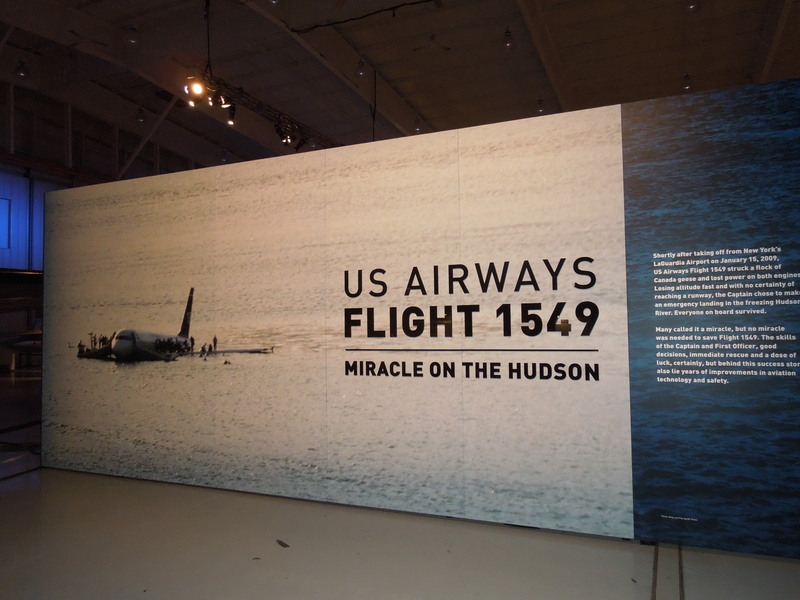 The Air Museum is the final resting place of US Airways Flight 1549, the “Miracle on the Hudson.” This flight was the first time a commercial airliner was able to make a successful crash landing on water without the loss of a single life. The keynote speaker at the meeting of 95 attendees was Cherie Berry, Commissioner of Labor for the State of North Carolina. Ms. Berry used Flight 1549 as an example of how teamwork and training on the job can save lives. It took the teamwork and training of the Captain and First Officer, the flight attendants, the passengers, the rescue boats, the tower and the NY Emergency Services to accomplish this amazing feat. It also took the designers, engineers and builders of the airplane to produce an airplane durable enough to survive the landing without breaking apart. Ms. Berry likened this to safety in the workplace. It takes teamwork and training to provide a safe workplace. Businesses need to have a safety plan. The plan needs to be communicated to the workers and the workers must be trained to work safely and avoid hazards. Ms. Berry also announced that the Injury rate in North Carolina for 2012 had dropped to 2.9 cases per 100 workers, down from 3.1 for the three previous years. She also announced that the fatalities in NC through October were 23. That is a historic low for the same period in prior years, but she stated that the only acceptable number is zero. Another thing she urged is for businesses to partner with the NC Department of Labor to assure safe workplaces. She stated that the Department of Labor offers, in fact encourages, businesses to request courtesy safety inspections. There are no penalties assessed during a courtesy inspection. The only expectation is that all the hazards found need to be abated. She stated the department would rather the money that might have been spent on fines be spent on abating the hazards and providing a safe workplace. She is proud that North Carolina’s injury rates are well below the national average and partly attributes that to the teamwork between the Department of Labor and business owners. Cherie Berry has been the NC Commissioner of Labor since 2000. Prior to that she served in the NC House of Representatives focusing on issues relating to small businesses. Before her public service career, she and her husband owned a small business that during its history produced over a million miles of spark plug wires. She has the second most recognizable name in the state. Her picture and signature are on the operating certificate of every elevator in the State of North Carolina. In my early career, we started to see state projects being handled as Construction Manager Projects. There was a general contractor, but he was effectively just a job superintendent, a quarterback. He managed the jobsite and handled the paperwork, but the power remained at the state. 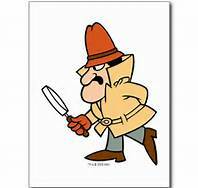 The Contracting Officer was in control, the subcontractor signed a contract directly with the state and the subcontractor’s check came directly from the Department of Revenue. Projects were always late. There was endless confusion with change orders since they had to come from the state. Payments were inconsistent, contracting officers had no incentive to process payments quickly and payments were issued in due course and tended to be held up at the end of the fiscal year when the state was running out of cash and had other priorities. Enter the Construction Manager at Risk. Now the general contractor is the one who has to deal with the state. The state still approves the subcontractors and makes the rules, but for the subcontractor it is mostly like a normal general contractor agreement. You sign the GC’s contract, you submit the GC’s pay application (along with a lot of government forms) and you receive you check from the GC. You have one boss on the job, the GC. The GC is responsible for getting the job done on time and on spec. There are incentives for the GC to finish on time and penalties if he does not. Having one entity in charge of the project pulls it all together and the Construction Manager at Risk form of contracting has proven successful. The fact is that on a large and complicated project, there has to be one person or company that is in control and takes responsibility to the successful completion of the project. A prime example of this is the HealthCare.gov website. In Congressional hearings, it has been revealed that there were as many as nine contractors working on various modules of this website and with subcontractors, as many as 55 different companies writing code. The nine contractors worked for different contracting officers at the Treasury Department and the Department of Health and Human Services (HHS). They were writing in different code styles. There was a last minute change order to require people to register and enter their personal data before being able to see their potential subsidy. There was no testing of the entire system until a couple weeks before implementation and when they did test, it crashed with just 200 users. The site was introduced with great fanfare, then total collapse. No one claims responsibility. No one has been held accountable. No one has been fired. They are bringing in “the pros from Dover,” Google, Amazon and Red Hat. But who is in charge? Who is accountable? Another example was the Salt Lake City Olympics. It was millions of dollars over budget and running late. It seemed like there was no way the Olympics would go off on time and it would be a horrible black eye for the United States. They called on Mitt Romney to take over. He did. 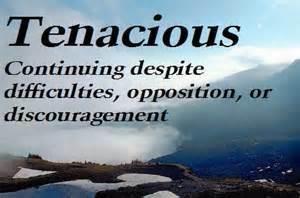 He reorganized the effort, brought in strong leaders and got the Olympics off on time and with a budget surplus. Politics aside, you need strong leadership to pull off a major project. On Healthcare.gov, we haven’t seen it yet. What Gets Checked, Gets Done! Another one of Gary Olnowicz’s “Lessons Learned” from his July 2013 presentation was “What Gets Checked, Gets Done.” What he means by this, is that even the best of your employees need to be checked. Without supervision, there is too much temptation to cut corners or work down to the lowest common denominator. Further, labor productivity is critical to the profit margin and the cash flow on the project and needs to be tracked. If there is a problem on the job, the earlier you know about it, the more time you have to create a solution. If you can’t solve the problem, you can at least adjust the markup on your billing so you don’t go negative at the end of the job. 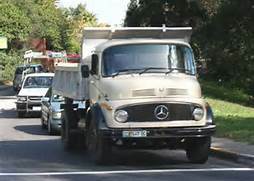 Once again, the Mercedes Benz Truck Assembly Plant in Hampton VA that I mentioned in my previous post provides a personal example. We were about a week into the job of installing the strip windows in the job. The Glazing Superintendent came in to the office and started calling Miami Wall Systems and ordering window components. When I quizzed him about it, he said the window mullions were not lining up with the columns as they were supposed to and he was going to have to make up additional small window units to compensate. I accompanied the Glazing Superintendent back to the job and started checking the drawings against the installation. These were self-mulling windows; meaning that the vertical jambs had male/female components so that one window jamb was inserted into the jamb of the next one. I observed that the drawings provided by the manufacturer showed a 1/8” gap for expansion between each window, but the windows had been installed tight together. When quizzed as to why he had not followed the drawings, the lead installer (who was also the shop steward) snapped back that he knew how to install windows and that they were supposed to be tight together. Long story short, the first week’s work had to come out and be re-installed. From then on, everything worked perfectly. At the end of the job we had one item on a 53 page punch list. We had a labor overrun from the part of the job that had to be re-done that cost me $1,200 out of my commission. But, I still had my biggest commission check ever. From that day forward, as long as I was a commissioned salesman, I made it a practice to visit the jobsite on the first day and last day of work of each job. On the first day, I would show up in the early afternoon to see if the installation was going as expected and diagnose any problems and address solutions. On the last day, I would punch out the job as if I was the customer, including the operation of each door and the door hardware. I also carried a bag of thumbturns and Push/Pull stickers in my car. These were required on all jobs in the City of Virginia Beach and were often overlooked in the fabrication shop and their absence could cause an emergency service call when a Certificate of Occupancy was being held up. I had to look after my personal cash flow as well, you know. In his presentation to the NC Subcontractors Alliance at their July 2013 meeting, Gary Olnowicz, president of The Linda Construction Company, said “Sometimes, you have to bite off more than you can chew.” The meaning behind this is that to grow in business, sometimes you have to reach beyond your comfort zone. My moment came in 1978 when I was a young contract salesman for Binswanger Glass in Norfolk, VA. I was in my second year in sales. In those days, I was strictly commission, earning 15% of the gross profit of the sale. To get a jump start, I had been concentrating on small jobs that could be turned around quickly so that I could get into position to cover my draw. My commission was paid quarterly, after deducting for my draw and expenses. Luckily, I was successful in landing a very busy metal building dealer who furnished me a couple nice jobs each month and a builder who was building nine Roy Rogers Chicken restaurants in the area. We did not use project managers at the time, so each salesman was totally responsible for his jobs until they were handed off to the Glazing Superintendent to get them installed. It was taking a lot of time to stay ahead on small jobs, so I realized I needed a bigger job carry me along. One day, I was alone in the contract office when the call came. It was a call from The Haskell Company in Jacksonville, Florida. They were going to design/build at truck assembly plant for Mercedes Benz in Hampton, Virginia and wanted Binswanger to price it for them. I wasn’t going to give it up. I had them send me the plans. The job was big, but fairly simple. It consisted of 1,000 running feet of 4 ft. tall fixed and operating self-mulling strip window units and a 100 foot x 27 foot tall curtain wall assembly. I got all my quotes, put the labor on it and went to my manager to get approval to bid it. We put the price on it and I rolled the dice. A few weeks later, I got a call from my contact at Haskell. He wanted me to fly down to Jacksonville the following Monday to meet with the design team. I told him I would get back to him. Both the contract manager and branch manager tried to discourage me from going. They both suggested that Haskell was just using me and that I would be making a mistake to go. I said I had a feeling on this one and had developed a feeling of trust with my contact. He told me to go ahead, but he made sure I understood that all the expenses of the trip would be charged against my commission. 1978 was before airline deregulation and the cost of a same day trip from Norfolk to Jacksonville and back was $678. Yes, I still remember that amount. It was a significant amount when your monthly draw was $1,000. That was a sleepless night. The next morning, I called Haskell and told them I would be there Monday. Sunday was another sleepless night. Up early on Monday to drive out to the Norfolk Regional Airport. The flight, including a stop in Atlanta took about four hours. A taxi ride to Haskell’s office and I was there with about 20 minutes to spare. The advantage of a design/build team is that everything is done in house. I was before the estimating team, the project manager, the architect and the engineer. I made my presentation, then we got to the meat of the meeting. The architect had specified Kawneer windows and Kawneer 1600 curtain walls. Binswanger was not a Kawneer dealer so I had come to the table with Miami Wall Systems windows and Amarlite curtain walls. But, in an unexpected development, the project manager spoke up and said he did not object to Miami Wall, they had been used on several of their Florida projects. Someone else said, “I understand Amarlite’s curtain wall has a 2” wide mullion and Kawneer is 2.5” wide.” Before I could answer that I had figured on Amarlite’s heavy system, the architect spoke up “I don’t object to a 2” mullion as long as it windloads. A quick call to Jerry Wright at Amarlite got me the windload values and everything worked. I realized they wanted to do the deal as much as I did. They assured me a contract would be going out to me the next day. We shook hands and they had one of their assistants take me back to the airport. There I was. A twenty-nine year old kid who had landed his first big job. I was walking on air. I don’t remember a single thing about the flight home. The moral of the story is you have to take a risk if you want to score the big one. In 1988, a man named Harvey Mackay wrote a book that set the business world on fire. It was called “Swim With the Sharks Without Being Eaten Alive.” It is an entertaining and enlightening handbook to be successful in your career and personal life. It is a networking bible. It established Harvey Mackay as a respected author and columnist. The book chronicles Mackay’s career from a recent college graduate trying to find a job, becoming successful selling envelopes, to buying a failing envelope company and turning it into a huge success. The book has been re-printed and needs to be in every businessman’s arsenal. As a construction Subcontractor, we are losing the personal relationships we have with our customers, the General Contractors. Invitations to bid are sent out electronically. To view plans, we go onto a contractor’s FTP site or to a service like iSqFt. We download and print plans or order the prints from a third party printing service. We send our bids by fax or email. General Contractors now have a “pre-construction” department that puts the bids together before handing them off to the project manager, sometimes with a purchasing department in between. Unless you have a relationship with a contractor, or a really low price, your lines of communication with the contractor are limited. Getting to know the people in the company you want to do business with are more important than having the lowest price. Contractors are looking for the lowest responsible bid, and when the contractor knows you, you get a seat at the table when the job is bought out. What Harvey Mackay wrote in 1988 is relevant today, except that part about a Roladex. If you use Mackay’s principles, including the “Mackay 66,” the things you should know about your client, your business relationships will be greatly improved. For you youngsters, it is even available as an e-book. Long-time members of ASAC-Charlotte, now NC Subcontractors Alliance, will remember a program in 2008 by Martha-Ann Marley, called “A Contractors Diet: How To Get Lean.” The program was a segment of her 2 hour seminar and based on an article she wrote for the CFMA magazine, “Building Profits,” January-February 2006 issue. Based on her 24 year experience as a surety underwriter with a major surety company, poring over thousands of financial statements, audits and economic data, she realized certain common attributes of companies that survived and thrived during down economies, versus those that failed. The main attributes being, maintaining liquid assets, cash flow and a plan for controlling costs during the downturn. Based on her study of economic data, she predicted that the coming recession, now known as The Great Recession, would be deep and would not begin to show improvement until 2013. She gave a detailed list of things that contractor’s needed to do to survive and thrive during the recession. In her latest seminar based on her article “Stuck in Neutral?” “Building Profits”, May-June 2012 issue, Martha-Ann shows the data that indicates the bottom of the recession was reached in early 2013. But, there are not yet any indicators showing that the economy is pulling up off the bottom. She has now revised her prediction. Now, she predicts that the economy will not show improvement until late 2014. There is still a lot of uncertainty in the economy. What is the Fed going to do with interest rates? What is going to be the cost to your business for Obamacare? What will be the impact of pending federal regulations from OSHA and EPA? Remember, the EPA director in speeches has promised to “regulate the coal industry into bankruptcy.” What will that do to energy prices? If you can’t attend one of Martha-Ann Marley’s seminars, you owe it to yourself and your company to read her articles. She is now NC President of Gardner Insurance Group. These articles are available on her website, http://www.gardner-insurance.com/ and can be downloaded in a pdf format by clicking on the pictures of the magazine covers.